Hi everyone! 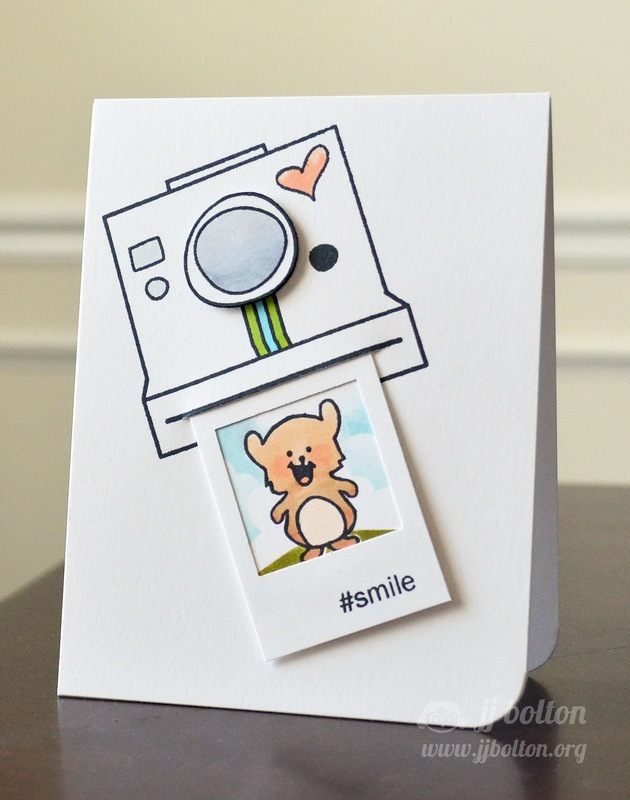 Thursday means that I'm sharing another one of my Avery Elle cards:) Today I'm using the cute mini #Smile set. 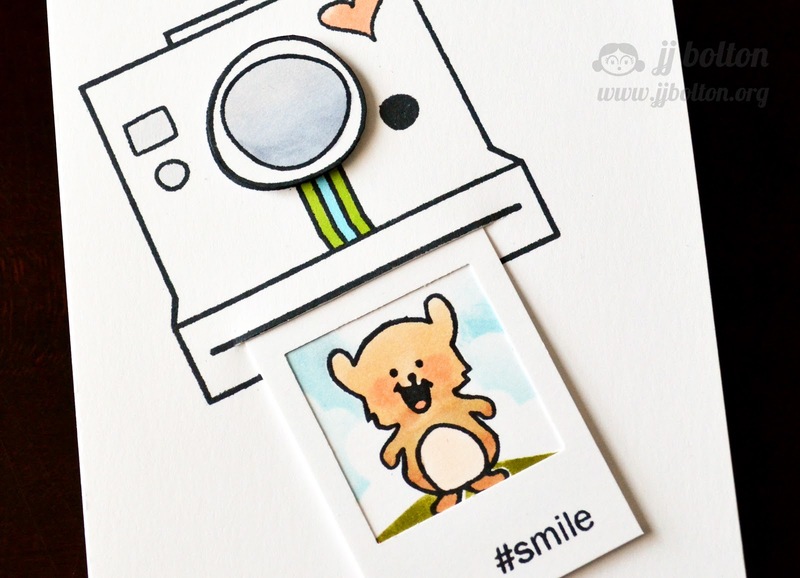 What better to pair the camera stamp with the smiley bear from Red & Goldie? I'm loving how fun this is. You are so clever. Such a fun card, JJ! I love how you put a slit into the camera for your sweet photo...Beautiful coloring, too! This is such a cute card! I love the look of the photo coming out of the camera! Fantastic card, the camera, the polaroid--all cute!